We did it! 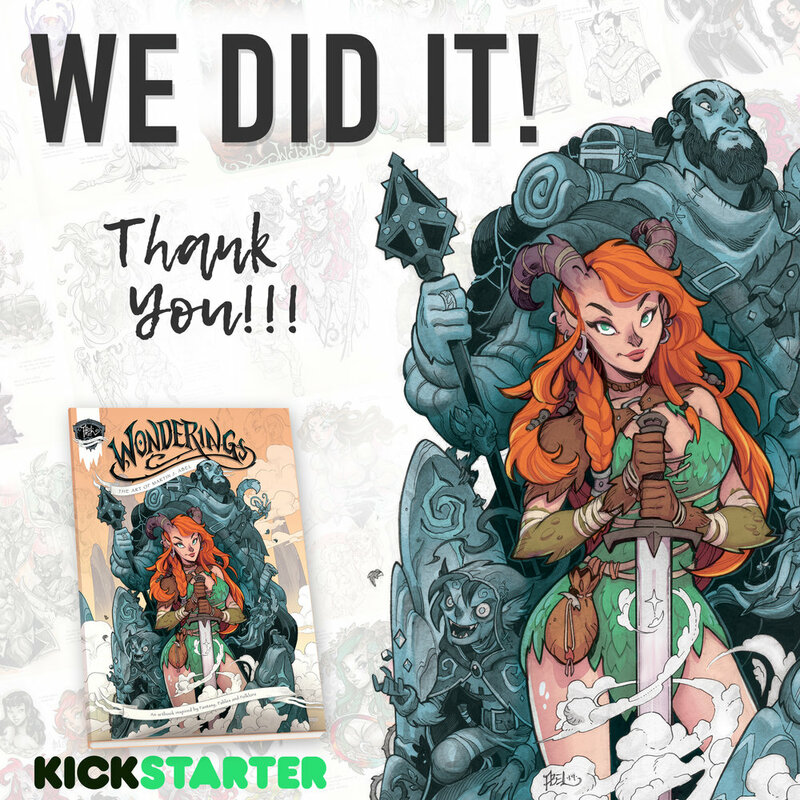 Wonderings Art Book 415% funded! I want to send a massive thank to everyone who backed, shared and helped spread the word about my latest kickstarter Art Book campaign. You folks smashed this out of the park! We were funded within a few hours, and for those few weeks you really proved to me that my work does still resonate with you. I'll admit I've been doubting myself creatively (as usual) .. but a lot lately, and doing these projects are a gamble, but I am so relieved to have had it work out so nicely, and to have enthusiasm about this book is really encouraging me to push on and create even better things in the future! Thanks again for making this book happen!! More updates, on future stuff coming soon!